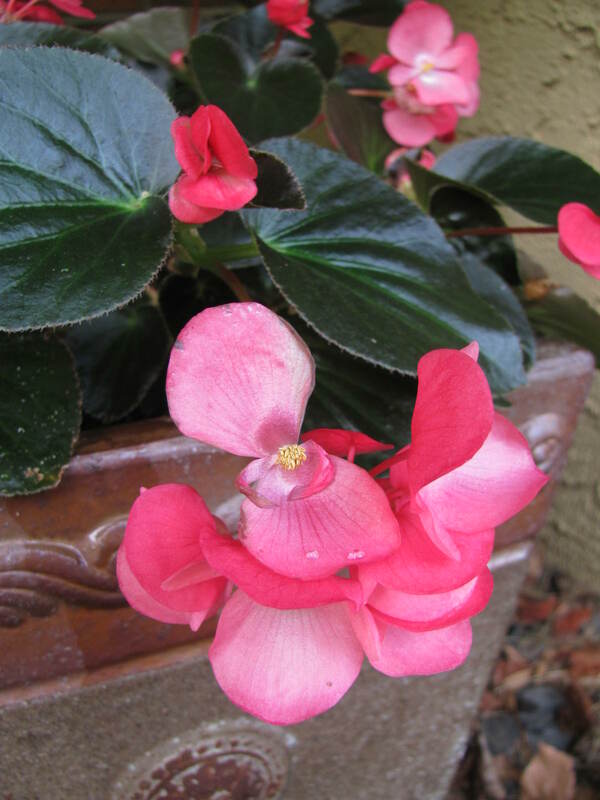 This entry was posted in Botany, Flower, Gardening, Horticulture, Outdoors, Photography, Plant and tagged annual, Begonia, Biology, Downy mildew, Fibrous begonia, Garden, Home, Impatiens, Rabbit, Wax begonia. Bookmark the permalink. I love begonias but I haven’t grown them for awhile. Impatiens needed too much water so I have given up on those. I really can’t decide what I am going to grow this summer but it needs to be hardy. I don’t have to worry about rabbits. Only slugs and snails. I don’t like the cute rabbits eating everything in sight, but slugs and snails would be worse (slimy!). What do you usually plant that seems to be fairly pest resistant? You have to deal with arid conditions, too, right? (Much like we do, but with more heat). At the moment my favourite plant which seems to survive anything is the heuchera. I love them and the bees love them. Hebes are good value, too. Tell me more about liquid kelp. Is this just normal out of the sea type kelp in a liquified form? Yes, you’re right. I use it on all my plants, including the ones in the house. (I do use compost and vermicompost as well in the garden, not just the kelp). You can buy the kelp at any good garden centre (I haven’t seen it in the big box stores). But I’m wondering if you couldn’t just harvest some of the stuff you find on the island, mix it with water and puree it together…? I don’t see why not. The stuff I buy in the store is concentrated, so I have to mix it with water to give it to my plants – you might have to do the same with stuff you’ve harvested and liquefied. You would have to experiment so you don’t give your plants too much at once. UPDATED: I just had a thought about salt content…I’m assuming the companies that manufacture the commercial product probably remove most of it, as it wouldn’t be good for plants. I wonder how you could accomplish that if you were making your own. I did put this container in a part shade location, but apparently these types of wax begonias can take a bit of sun (I’m not sure how much, however…something to test in the future, I suppose). I think sometimes the wax types tend to get a bit lanky and that’s really annoying, but I didn’t notice this with these – again, I’m not certain if that’s “normal” or not. Geraniums are so beautiful – and fairly pest resistant! That’s a great idea to take cuttings…they’re rather expensive to buy year after year (at least here) so that would be a way of saving money (and creating more robust plants!). I rarely get annual planting in pots right, Because of my climate I don’t use annuals in the borders. Yes, I imagine it would be a huge task keeping them watered in your climate – you definitely need to stick to plants that can take the heat! I don’t have any annuals but my neighbor likes petunias. We can get dry in the summer so the flowers do need a lot of attention. Annuals really do need more care when conditions are dry; most of them can be a bit high maintenance. I hope you had a wonderful weekend as well – I haven’t gotten a chance to read any of my e-mail just yet but I believe I saw that you had posted on your blog. I look forward to reading! 🙂 In your new garden, you will be able to experiment with all sorts of plants that you couldn’t grow before – it will be such fun for you! I’m also a fan of begonias. They remind me of my mom, who loved them too in her day. My new favorite this year is Bachelor Buttons. I grew an assortment from seed. 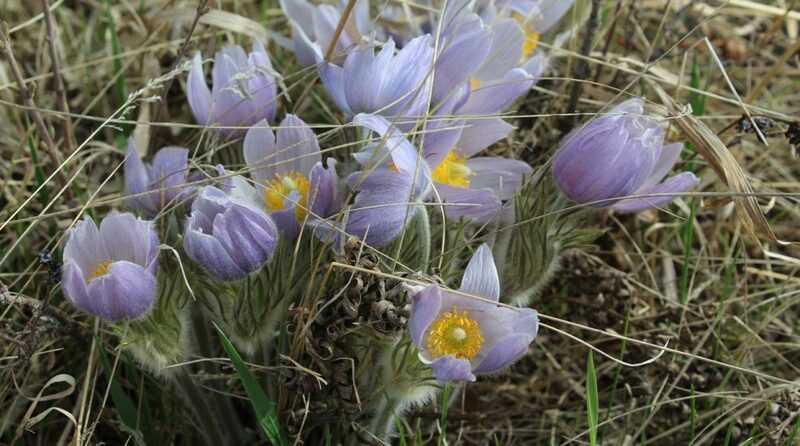 They’ve flowered continually for weeks in blues, pinks and purples. They’re a favorite of the birds as well. I love bachelor buttons, too – they are so cheerful and bright! And it’s a bonus that the birds love them! I don’t grow Begonias but like Cerinthe major Purpurascens, trailing Verbena, Helichrysum, Ipomoea batatas, Geraniums and the likes for containers. It gets very hot here too so I have to be a bit prudent with my choice. It’s true, containers can be so tricky to maintain in high heat – we’ve been lucky this year with the extra humidity and little wind (although that has spawned all sorts of insect and other disease infestations), we haven’t had to water as much as usual. I had forgotten about Helichrysum until you mentioned it – I’ve always liked it and should put it in my containers next year. Nothing beats the wow factor like tuberous begonias in bloom. The flowers are large and colors are so bold. They seem to reach out to my guests who are coming up the walk to welcome them. Even though my environment lends itself to pests I have been very fortunate over the past several years and have not had to battle that problem. It’s good to hear that you’ve had success with your tuberous begonias over the years – I agree, I’ve had no issues with mine, either (so far!). And you’re right – they truly are showstoppers! My marigolds, borage and nasturtiums were wonderful! I may have to give this begonia a try. If you like begonias, you might really enjoy this one. I was certainly quite impressed and happy with its performance.